Accueil » Numéros Cybium » 2008 » Volume 32 » Numéro 2 suppl. 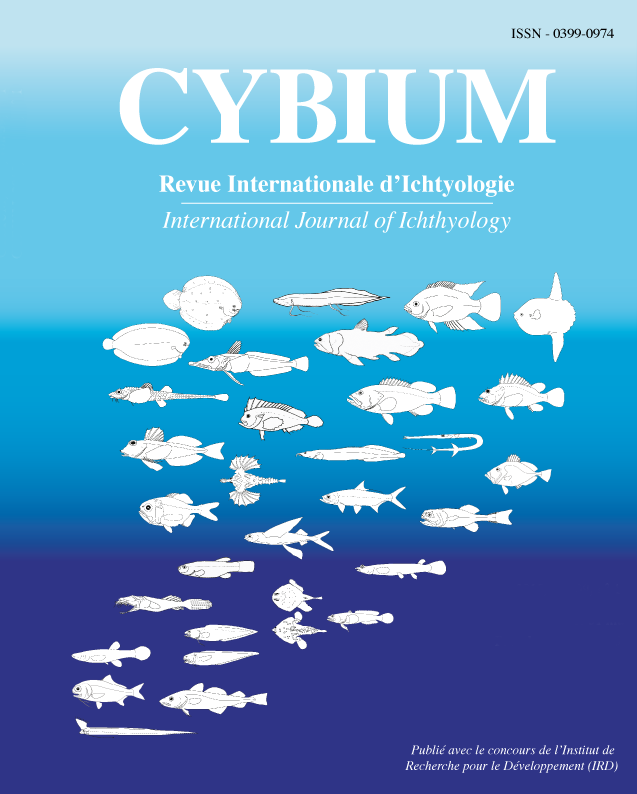 Sexual maturity, reproductive behaviour and fertility in the first-generation hybrids of Blicca bjoerkna L. x Abramis brama L.
Contents Cybium 2008, 32(2) suppl. Index Cybium 2008, 32(2) suppl.